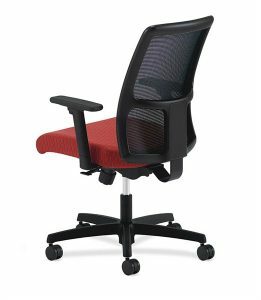 Having a mesh chair can help relieve stress on your back and make working at a desk a more comfortable experience. If you’re searching for a company that provides office furniture for businesses and homeowners in Marietta, Georgia, look no further than NorthPoint Office Furniture. We have a massive selection of chairs from which you can choose for your office, and we are sure to have the exact style, size, and color that you need. We only carry chairs from trusted manufacturers, such as Fairfield Chair, HON, La-Z-Boy Contact, Global, and many more. Plus, at our beautiful showroom located in Roswell, we’ll invite you to sit in all of the chairs we have on display so that you can find a mesh chair that is comfortable to you. No matter which style you choose, or how many you order, we’ll assemble all of the furniture you purchase from us, and can even deliver them right to your place of business or your home. For more information about the mesh chair options we provide for businesses and homeowners in Marietta, GA, and all of the surrounding areas, contact NorthPoint Office Furniture today.